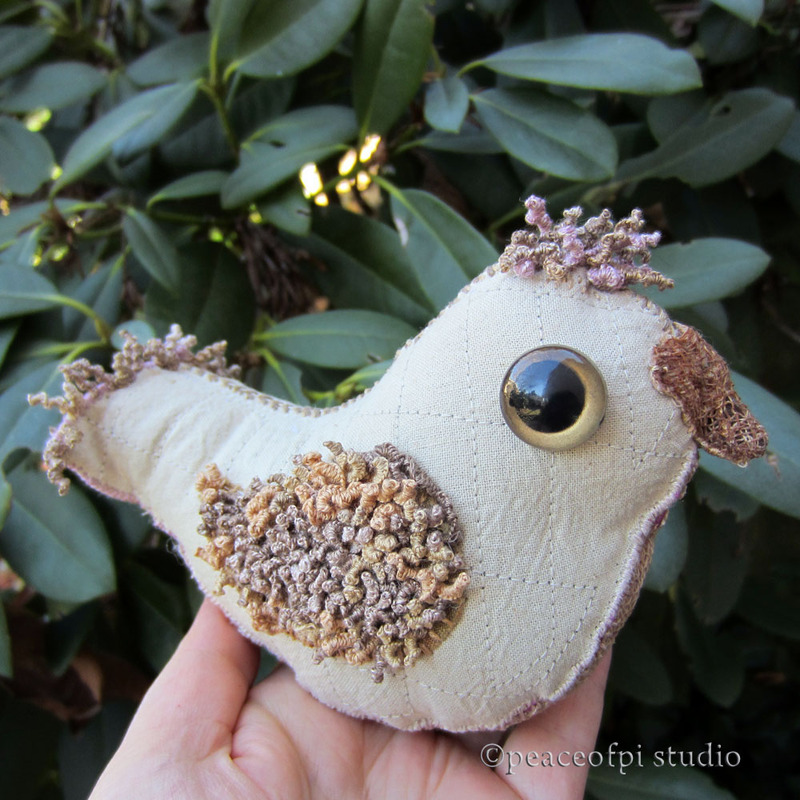 With curly little ringlets on wings, tail and crest, this soft bird is a fancy fabric fellow. The riot of curls is created in hand embroidery using a dimensional texture stitch called the drizzle stitch. Creating hundreds of these little drizzles is not for the faint at heart! It's a time consuming process that involves a continuous unthreading and rethreading of the needle while creating the stitch. The curl is created by wrapping the thread around the needle multiple times, a series or stack of half hitch knots for each and every stitch. Hours of stitching and yards and yards of embroidery floss went into this one wing alone. The curls are now complete. Yay! The bird is stuffed. So now the question is - is this bird finished? 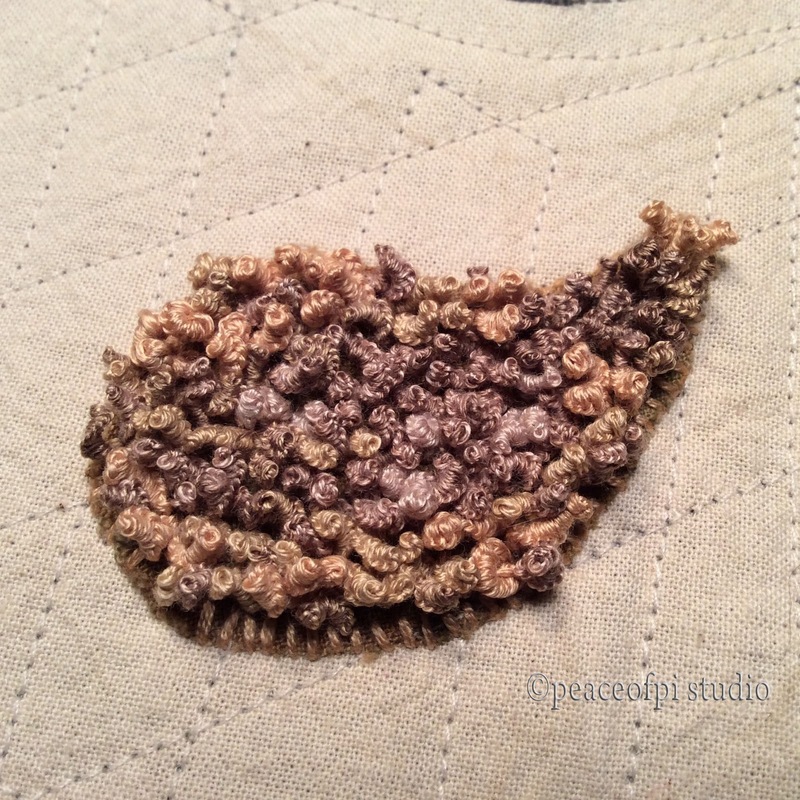 Does that tea-dyed fabric body need more stitch, need more embellishment to compliment those fancy curls? Or is Mr. Drizzle perfect just as is? It's unclear at the moment. I think this soft sculpture needs to sit and be observed for a time before that question can be answered. Update to come. P.S. 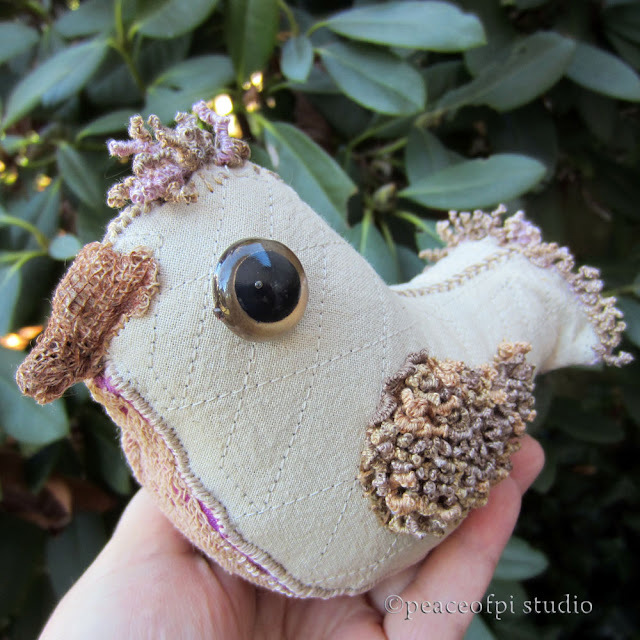 Find ready to adopt soft sculptures born in peaceofpi studio in the shop.